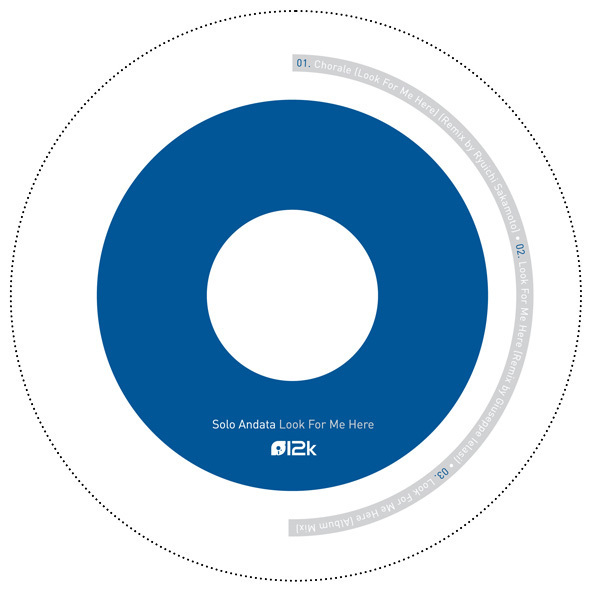 Look For Me Here is Solo Andata’s accompanying single to their self-titled, full-length 12k album (12k1056) which, in addition to Solo Andata’s album mix, includes two exquisite remixes from Japanese legend Ryuichi Sakamoto and 12k visionary Giuseppe Ielasi. With “Chorale”, Sakamoto progressively transforms Solo Andata’s rich and bittersweet work of electroacoustics into a vast and textured landscape of enchanting electronics which, at times, is beautifully bewitching. Giuseppe Ielasi, on the other hand, presents us with a luscious array of melodic skittering that altogether forms an elegant and harmonious whole. 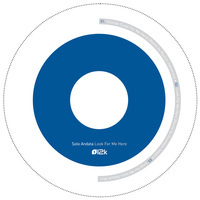 Packaged in a clear, round CD case and printed on a half-clear Fan-CD, Look For Me Here is limited to only 500 copies for the world.